Finishing a Decade of Fun! 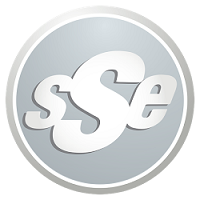 SSE closed out the decade in style at the prestigious Council House with The Johnson Foundation and Benchmark Hospitality. We had a great time filling up the spacious atrium with holiday cheer, and enjoyed cocktails, food, and fellowship. With priceless works of art and beautiful architecture surrounding us, we let it all hang out and rocked the dance floor nice and late! I couldn't think of a better way to end 2009, and gear up for Silver Spoon Entertainment's 15th year of fun. Happy Holidays to all! We had a far-out time on Saturday celebrating with the Willkomm Companies during their 60's & 70's themed Holiday party! We enjoyed wonderful food from our friends at the Charcoal Grill, a rousing round of the Newlywed Game was played, and we shook our groove thing 'til midnight! I don't think I've ever seen this many door prizes given away at a single event, and everyone went home happy. Thanks again to the great employees, staff, and owners of the Willkomm Companies, it was a pleasure!